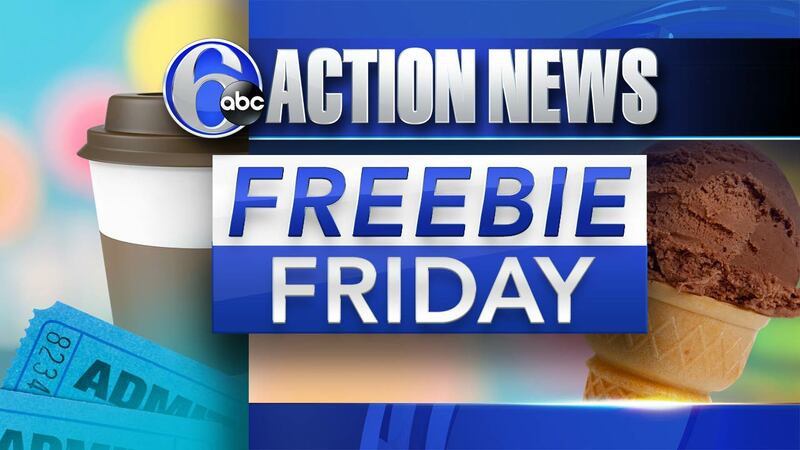 PHILADELPHIA (WPVI) -- It's the final Freebie Friday of the year, and we begin with some events to help you plan your New Year's Eve and New Year's Day. SugarHouse Casino is putting on two shows along the Delaware River Waterfront on New Year's Eve. The first one, which starts at 6 p.m., is perfect for anyone with little ones. The second show is at midnight. Each will last roughly 15 minutes. You can get a front-row view from the waterfront in both Pennsylvania and New Jersey. One of the places you can also watch the fireworks is from historic Franklin Square, which is hosting a special Kids' New Year's Eve Countdown. Families can enjoy music and crafts before their very own "square drop" at 6 p.m.
That's followed by a kids' dance party and the final Electrical Spectacle Holiday Light Show of the season. The fun runs from 3 p.m. to 8 p.m. on New Year's Eve. January 1 is for the Mummers Parade, of course. If you'd rather not watch it outdoors, head to the Kimmel Center for the Performing Arts for their free annual New Year's Day Celebration. The first floor will be filled with free performances from musicians, stilt walkers, and jugglers, plus family-friendly events like scavenger hunts, face-painting, and crafts. The party runs from 10 a.m. to 5 p.m. If you're traveling for New Year's and happen to find yourself near a Sheetz convenience store, stop in for a free coffee. The chain, which has several locations in the Lehigh Valley, is offering a medium cup of joe at all 584 stores from 4 pm New Year's Eve until 4 pm New Year's Day. If you have a dog who needs a nail trim, you can get one for free by joining Petco's Pals Rewards program. Here's a coupon that you can either save to your phone or print. The deal is good until December 31st. Finally, Olay is offering a free three-piece sample bundle. You can try their Olay Whips Regenerist Moisturizer, Olay Deep Hydrating Eye Gel, and Olay Daily Facial Wipes without paying a dime. Just fill out the form here.